FF Videtur is a new Serif font family of 4 weights by Axel Bertram and Andreas Frohloff, suitable for Film & TV, Editorial & Publishing, and Small Text. 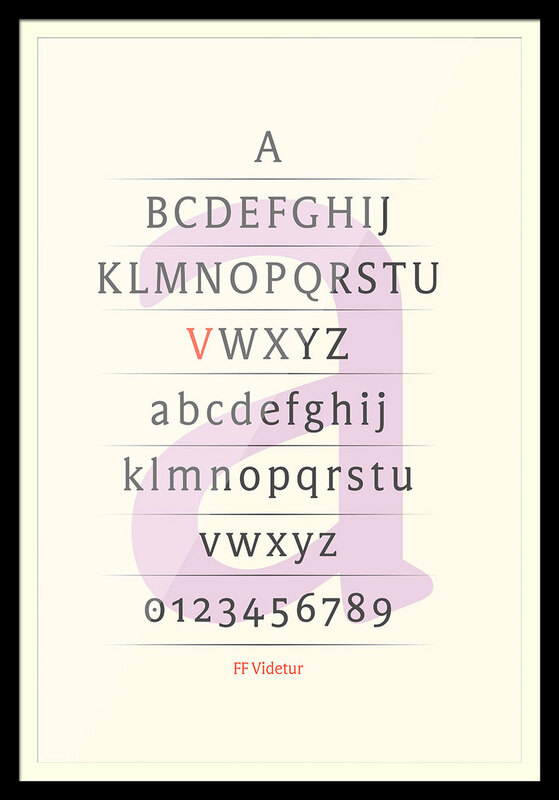 The concept for FF Videtur is based on bitmap fonts created by Axel Bertram for the state television broadcaster in East Germany (GDR-TV) during the 1980s. 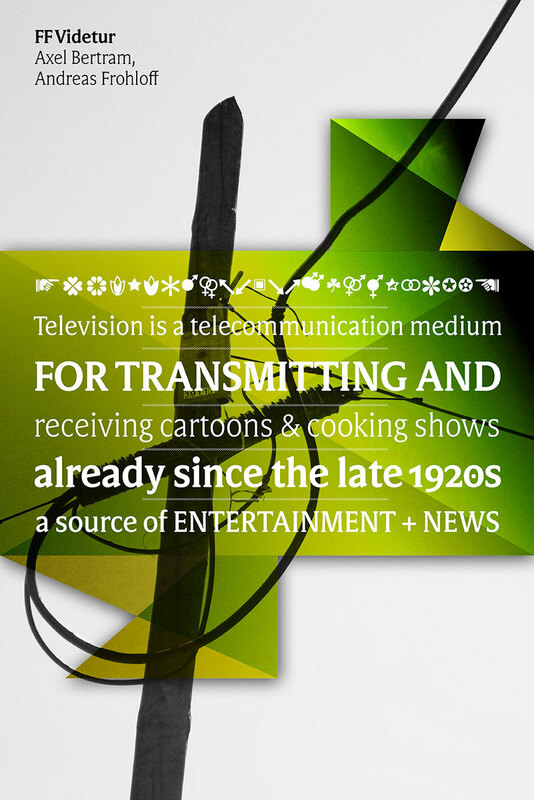 Bertram and Frohloff collaborated to develop the TV-Videtur into a modern text face that harnesses the extreme limitations of the 1980s to deliver a solution for the increasing demands of today’s devices and media. 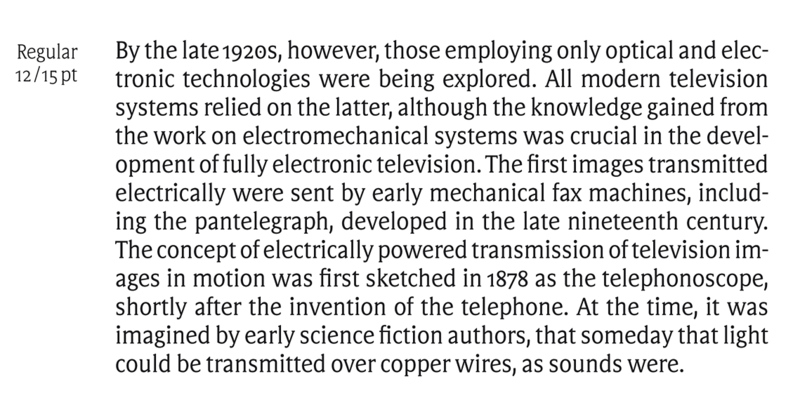 Freed from yesteryear’s technical restrictions, all letters were drawn anew. The best characteristics of the earlier forms were kept, but the typeface’s vertical proportions, serif shape, and stroke contrast were carefully reconsidered. FF Videtur’s four weights Light, Regular, Medium and Bold support the Latin-based European languages. In addition to both lining and oldstyle figures with proportional and tabular spacing options, the fonts include smaller-sized figures for fractions, scientific inferiors and superiors, as well as a series of arrows, symbols and ornaments. This entry was posted in Font Highlight, Fontfont and tagged alt.TYPE, FF Videtur, Fontfont, Serif Font, TV font on April 3, 2013 by alt.TYPE.